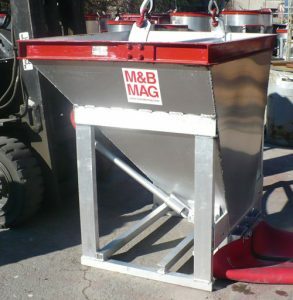 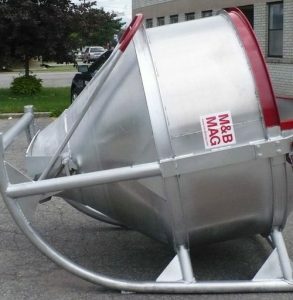 In M&B MAG we manufacture aluminum concrete buckets of various shapes and capacities to provide our customers with the most efficient and safe equipment for every concrete job. 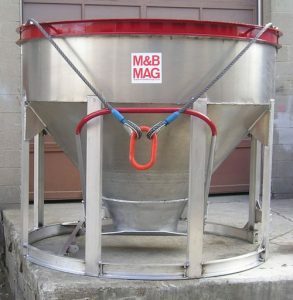 A lightweight aluminum bucket cuts dead weight and allows you to pour more concrete at each crane cycle. 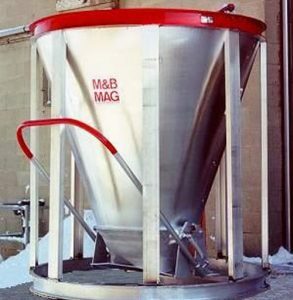 Stability and structural strength exceeding industry standards. 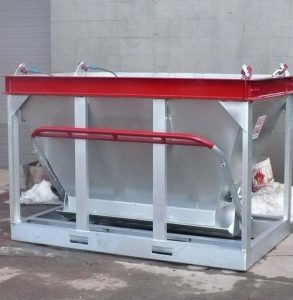 Superior, concrete tight, clamshell gate. 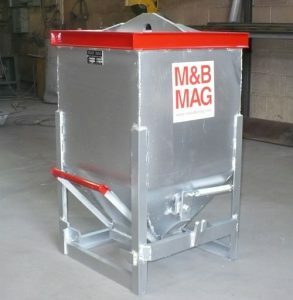 Please contact us to help you chose concrete handling equipment that fits your job requirements the best.